For the first time since Eldora’s opening day on November 19, 2010–that’s 54 straight days–I’m home for the day. When I picked up my second job working Customer Service at Aerogrow, I assumed that I could use each job to recuperate from the other; my job at Eldora leaves me physically drained and in need of rest, while my job at Aerogrow leaves me mentally exhausted. It is, by and large, a perfect combination. For four days I wear my body down, skiing, me legs wobbling as I stumble into work on Monday. For three days my body rests as I burn out mentally at Aerogrow, but I feel refreshed returning to the mountain. It’s as if I can restart my week twice without a break. For a while, it worked just like I had intended. I felt tired at the end of each job’s stretch and re-energized the following day at the beginning of the other. It was a perfect combination. It’s not as though I haven’t had breaks. Two days at Eldora I didn’t catch work and got to ski on my own and take a snowboard lesson respectively. Two days at Eldora, I backlined it (purposefully didn’t seek a class) due to illness and headed home early to nap, do chores and rest. All four days, however, I worked for at least an hour. At Aerogrow, things have been slow enough that I’ve left early twice and requested one day off to go ski with a friend. Still, despite the few days I’ve worked lightly or taken off from work, I haven’t taken a day to truly rest and recuperate. When you work with kids in the cold, you’re bound to get a cold or two. Twice so far, I’ve battled off colds reasonably easily, but last night I found myself spiraling downward. 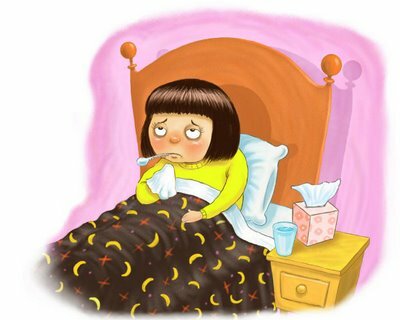 Unlike my previous colds, this one is more itchy throat and cough than before. I have a slight fear that I’ve got strep again (the last time being concurrent with my bout of mono my junior year of college). Without health insurance, though, I’m hard pressed to get it checked out. I found the closest free clinic, but it’ll be a week before I can make an appointment, which means I either need to bite the bullet and pay through the nose by visiting a non-free clinic, I need to self-medicate with whatever anti-biotics I can lay my hands on, or I need to wait it out and hope for the best. In the meantime, I love how much I hate being unproductive. So far, despite my sickness, I’ve attempted to repair a chair, taken out the trash and recycling, dealt with mail, and made a dozen cups of tea. I’ve also watched two movies, one extremely bad, one better than expected. And it’s not even noon yet.